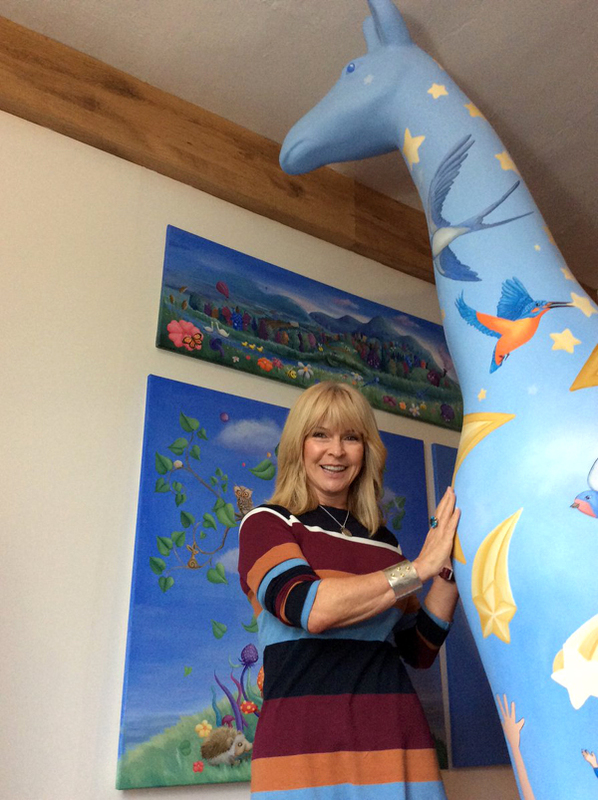 Artwork designed by celebrated singer, actress and Pershore resident Toyah Willcox has been used to decorate a giraffe sculpture for the Worcester Stands Tall trail. The prolific performer, whose career has spanned more than 40 years, themed her design around the idea of ‘making a wish’ – with the giraffe covered in stars, animals and children. ‘Touch the Wishing Stars’ has been brought to life on the eight foot, fibreglass sculpture by Malvern artist and illustrator Rachel Blackwell. 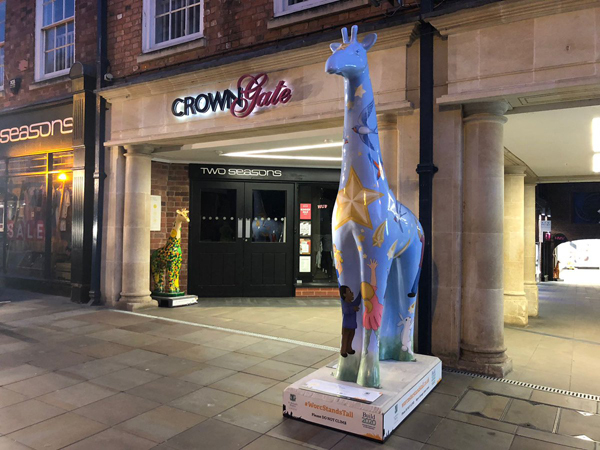 The decorated giraffe will now be displayed alongside 29 others through the streets and open spaces of Worcester for 10 weeks from July 9 to September 16. Ms Willcox said: “As a child, making a wish whilst holding my parents’ hands was one of the most thrilling and special things in my life. • Continue reading at the Evesham Observer. 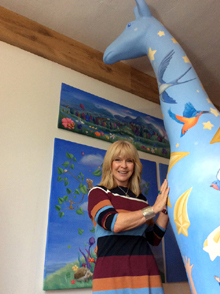 Artwork designed by celebrated singer and actress Toyah Willcox has been used to decorate a giraffe sculpture for the Worcester Stands Tall trail. The prolific performer, whose career has spanned more than 40 years, themed her design around the idea of ‘making a wish’ – with the giraffe covered in stars, animals and children. The interactive design – titled ‘Touch the Wishing Stars’ – has been brought to life on the 8ft, fibreglass sculpture by Malvern artist and illustrator Rachel Blackwell. The decorated giraffe will then be displayed alongside 29 others through the streets and open spaces of Worcester for 10-weeks from July 9th to September 16th.